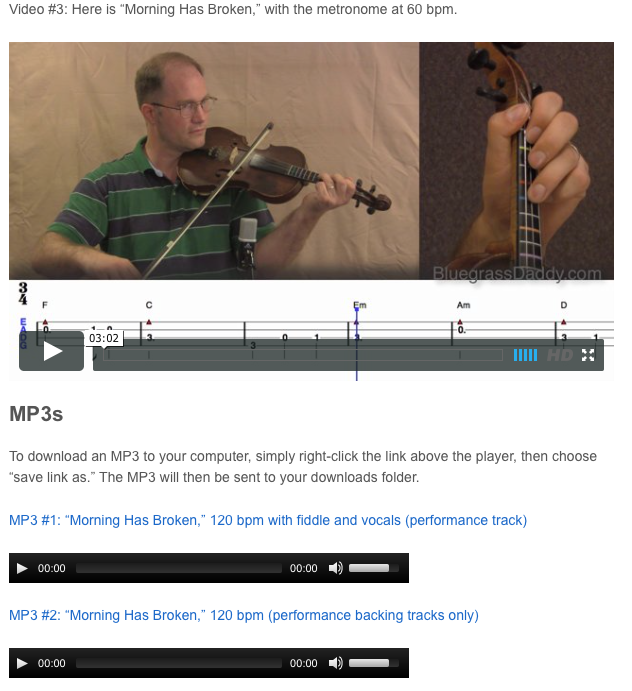 This is an online fiddle lesson for the hymn "Morning Has Broken" by Eleanor Farjeon. This song is for my friend Tom Howell. Video #1: Here is a video of me performing the fiddle tune "Morning Has Broken." "Morning Has Broken" is a popular and well-known Christian hymn first published in 1931. It has words by English author Eleanor Farjeon and is set to a traditional Scottish Gaelic tune known as "Bunessan" (it shares this tune with the 19th century Christmas Carol "Child in the Manger"). It is often sung in children's services. English pop musician and folk singer Cat Stevens (known as Yusuf Islam since 1978) included a version on his 1971 album Teaser and the Firecat. The song became identified with Stevens when it reached number six on the US Billboard Hot 100 and number one on the US easy listening chart in 1972. The hymn originally appeared in the second edition of Songs of Praise (published in 1931), to the tune "Bunessan", composed in the Scottish Highlands. In Songs of Praise Discussed, the editor, Percy Dearmer, explains that as there was need for a hymn to give thanks for each day, English poet and children's author Eleanor Farjeon had been "asked to make a poem to fit the lovely Scottish tune." A slight variation on the original hymn, also written by Eleanor Farjeon, can be found in the form of a poem contributed to the anthology Children's Bells, under Farjeon's new title, "A Morning Song (For the First Day of Spring)," published by Oxford University Press in 1957. The song is noted in 9/4 time but with a 3/4 feel. This topic contains 9 replies, has 5 voices, and was last updated by cricket 1 year ago. 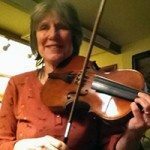 This is an online fiddle lesson for the hymn “Morning Has Broken” by Eleanor Farjeon. This song is for my friend Tom Howell. The back track link is broken. Sorry about the inconvenience. It should be fixed now! John, I have always loved this song ever since I heard Cat Stevens sing it. I know it is older than that but he made it popular to the masses of radio geeks. Hoho, Great Scott — are you pulling my chain? Would you really sing this? I am a pretty big fan of the music of Steven Demetre Georgiou (formerly Cat Stevens, now Yusuf Islam). I heard Sheryl Crow singing “The First Cut is the Deepest” on the radio tonight and thought about him. What an interesting character. Wh…o…a, bud!!! Don’t go getting your hopes up too high! 🙂 I ain’t that good!! I am barely even passable!… but I do love the song. And who says you have to be able to sing in order to sing a song? I have often described him as a “complex character”, and one of those rare and original singer songwriters. This really reminds me of something funny that happened one time, back several years ago…but…I wont do it!🙊 I should say, though, we used to sing that one in our old church, long, long time ago. It’s a nice song…I haven’t played it for years…gotta get to that one one of these days. This reply was modified 1 year ago by cricket.